Lately I have been reading about the effect that looking at screens near bedtime has on our sleep. Several studies have concluded that the blue light from our phones, tablets, TV's and computers can influence our brains and degrade the quality and length of our sleep. In addition, any interaction with technology right before trying to fall asleep can impact the ability to do so. An article in Science News for Students last November cited a study published in Chronobiology International, The Journal of Biological and Medical Rhythm Research which found that "evening light exposure to computer screens disrupts human sleep, biological rhythms, and attention abilities." Another study, published in 2014 concluded that "Use of electronic devices is frequent in adolescence, during the day as well as at bedtime. The results demonstrate a negative relation between use of technology and sleep, suggesting that recommendations on healthy media use could include restrictions on electronic devices." 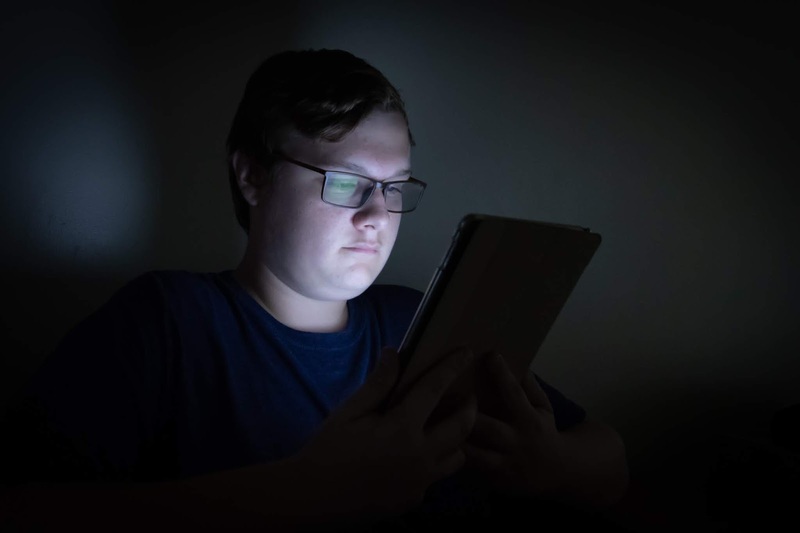 According to a survey done by the National Sleep Foundation in 2014, "Parents report that nearly three out of four (72 percent) children ages 6 to 17 have at least one electronic device in the bedroom while they are sleeping." This report quotes Orfeu Buxton, PhD, Harvard Medical School as saying, "To ensure a better night’s sleep for their children, parents may want to limit their children using technology in their bedroom near or during bedtime." More information and links to additional studies can be found in this easy-to-read article about how technology affects sleep. You can also read about how how streaming videos affect sleep in an article entitled "Streaming Content and Sleep – 2018 Study." Hoping you get a good night's sleep, and that our students do as well!